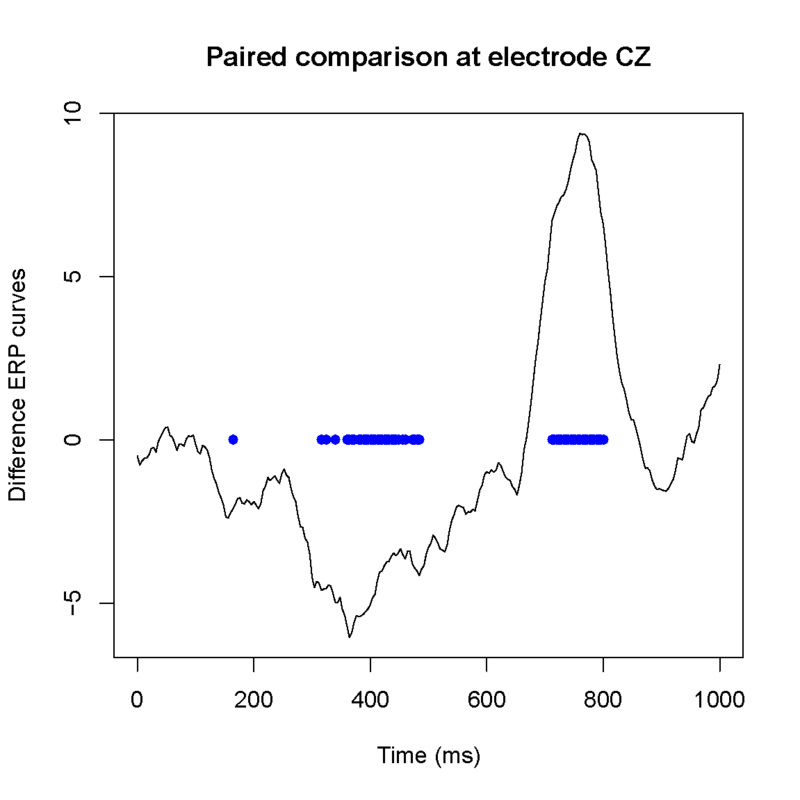 The collection of p-values for the F-tests at each timepoint is generally the only input for multiple testing procedures. Indeed, most methods consist in rejecting the null when the p-value is smaller than a preset threshold, chosen to guarantee that the corresponding number V of erroneous rejections of the null is controlled. In the last two decades, the questions raised by large-scale significance analysis of the relationships between components of complex systems and controlled experimental conditions, such as the search for key regulator genes using high-throughput gene expression data, have generated a plethora of simultaneous testing procedures and thresholding methods for high-dimensional data (see van der Laan and Dudoit, 2007 for a review of the leading procedures and Gropp et al. (2011a, 2011b), specifically, for ERP data analysis.
. The Bonferroni correction is probably the simplest and best-known way to achieve this goal. The possible procedures provided in ‘erptest’ are the collection of FDR or FWER controlling methods available in the generic function ‘p.adjust’.